Flash duration is one of those terms you hear in the world of flash photography but may not know exactly what it is, or why it matters. It’s really quite simple, and pretty much exactly what it sounds like. The measurement of time from when the flash begins to fire until it’s completely off is what’s known as flash duration. Like a light bulb filament slowly burning off when it’s turned off, a flash tube does the same thing, but much quicker. The reason flash duration is important is because in certain situations where you can control the ambient light, it can act as your shutter speed. This allows you to freeze motion without exceeding your cameras sync speed. Sure, you can use high-speed sync to achieve a similar effect, but just understanding flash duration allows you to do this without spending an arm and a leg on expensive strobes that support high-speed sync. I personally shoot with Paul C. Buff strobes which don’t have high-speed sync, but I was still able to create really awesome images of my dogs shaking off water after their bath by just understanding how flash duration effects the exposure of my image. Check out the above video where I explain flash duration in a little more detail. Jeff Carpenter is a portrait and lifestyle photographer based out of Nashville, TN. He has a formal education in audio production but fell in love with the visual arts after taking a mandatory photography class in his last semester in college. The rest is history! 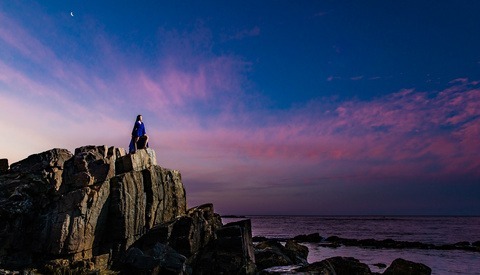 What's Better for Tethering: Capture One Pro or Adobe Lightroom? To my knowledge there isn’t a mono bloc in the world that freezes water cheaper than an Einstein. They’re great lights! I love my Einstein. You definitely should! Can’t wait to see what you come up with!! Thanks for the video Jeff. 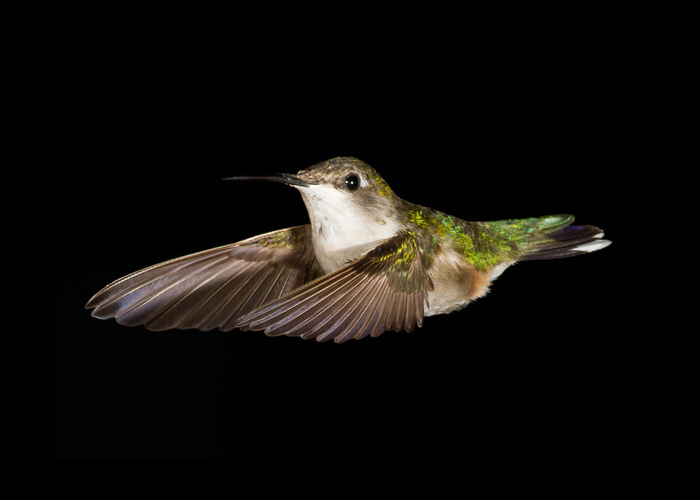 Some time ago I set out to freeze a humming birds wings in flight. I only had two speedlites to work with. I wish I had three then I could have illuminated the background but you go with what you have. I had heard to freeze wings you needed a 1/20,000 second shutter... The only way I could figure to simulate that speed was to use flash. 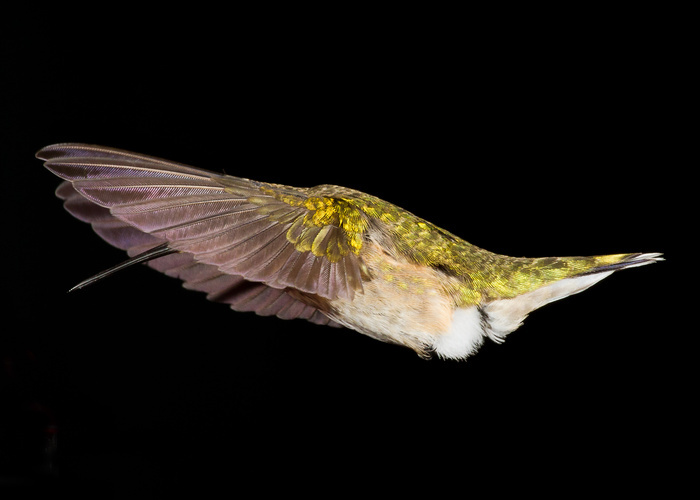 I set both speedlites to 1/64 power close to the feeder then set my canon 7D with a 400 mm to 1/250 at F11. At that speed and F11 at 2 in the afternoon I got a near black image. The speedlites then illuminated the bird and the low power allowed the simulated 1/20,000 second shutter. I believe with speedlites you lower the power for a shorter flash duration. 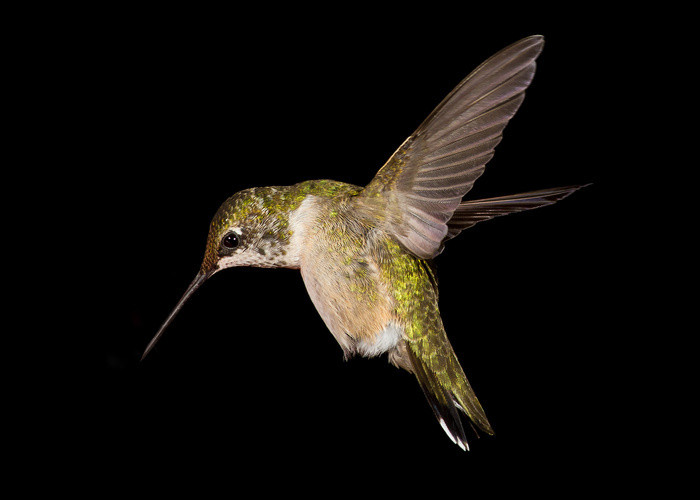 Humming birds are amazing animals and... almost... as cute as your dogs. That is fantastic! Thanks for that information and your images speak for themselves - wonderful captures. I haven't actually watched the article's video yet, but after reading your comment and seeing your images, I almost feel like I don't need to! These images are amazing Keith! I almost prefer the black background. It really makes the hummingbird stand out. Really great stuff! Wow, fantastic, I bet when you got back to the computer and uploaded the images you were just stunned!